ATLANTA - Feb. 18, 2019 - PRLog -- Actor Nick Smoot is gearing up for the release of the highly anticipated Tyler Perry film, "A Madea Family Funeral". The film is set to release on Friday March 1st in theaters. The film takes place in Georgia for a family reunion, but unexpectedly find themselves planning a funeral that will unveil family secrets. Written, produced, and directed by Tyler Perry, Nick's character plays a key role during the funeral scene. "It was a complete pleasure filming with Tyler Perry. I am confident that the audience will enjoy the film with scenes full of laughter and family," says Nick. Nicholas "Nick" Smoot is a native of Cincinnati, Ohio, and currently reside in Atlanta, Georgia. 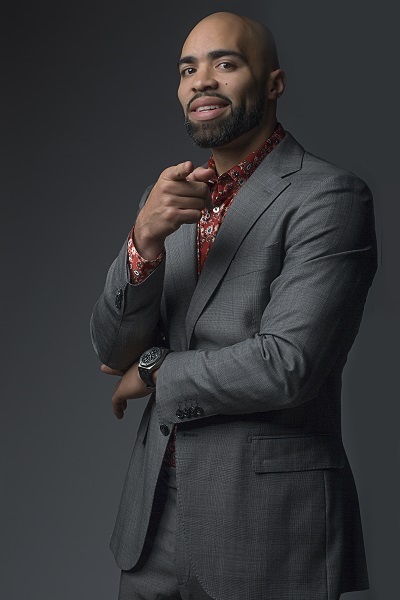 After graduating from Saint Augustine's University (then College), with a degree in Communications, Nick knew he wanted to pursue a career in acting and comedy. Utilizing his effective communication and interpersonal skills, Nick has been able to successfully navigate his career into television and film. Nick was a stand-in and photo double for Dwayne Johnson in the 2018 action-filled film, Rampage. He has also secured co-starring roles in the OWN Network show, "Love Is", as Eric, and the lead role in "January Love". Other acting credits include commercials on the BET Network, The Walking Dead, and The Fate and the Furious.